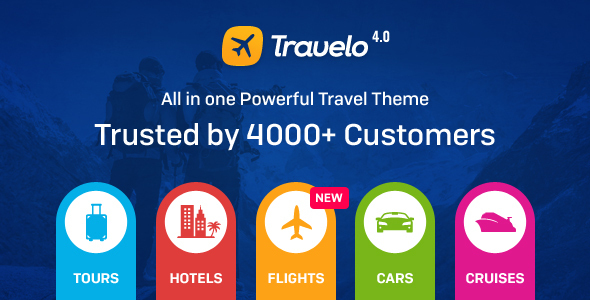 Trevelo – Travel/Tour Booking Wordpress Theme is one of the best hotel & tour booking theme in the world. This theme has not only great skin and layout, but also wonderful booking module which allows you to use for any type of hotel & tour booking. This provides tons of features and you will like it.